As much as I love a classic eggplant parmesan, it takes so much more time than I have available on an average weeknight. The breading and the layering and the baking. I can plan on working in the kitchen for over an hour, at least. 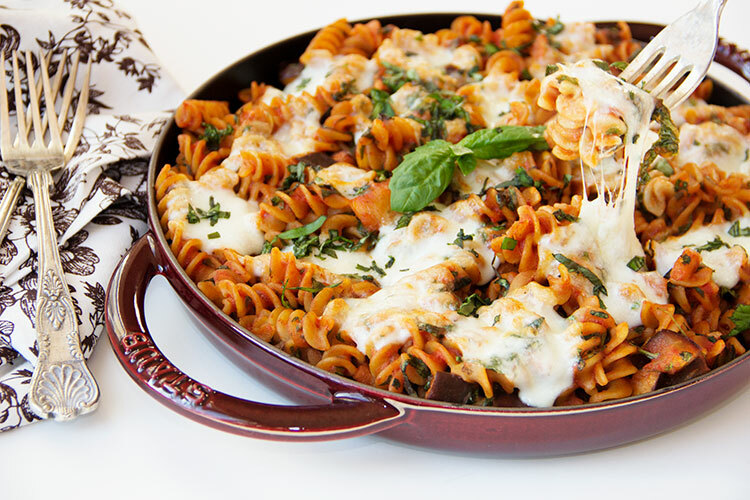 So I started throwing together this easy eggplant pasta skillet instead. And now I turn to this recipe all the time, because it’s as delicious and flavorful as eggplant parmesan. 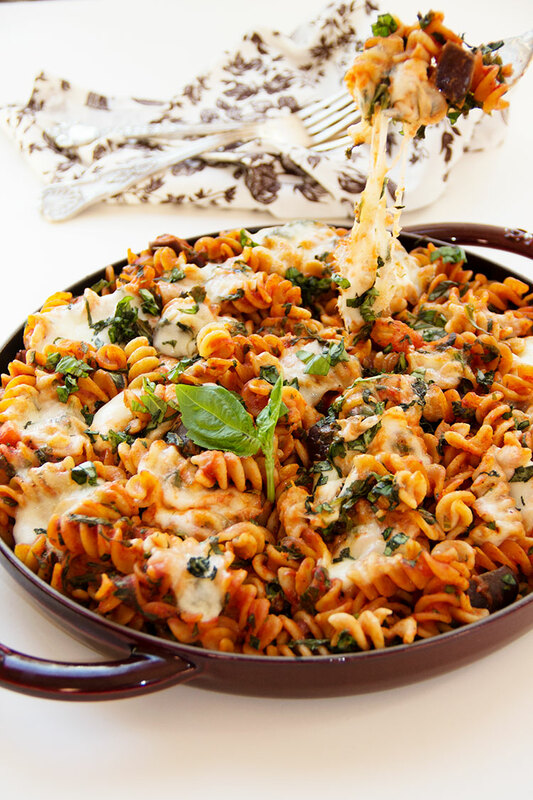 And this eggplant pasta only takes 30 minutes to prepare. 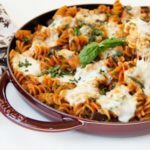 This eggplant pasta skillet has a savory-sweet tomato sauce and it’s full of gooey, melty mozzarella. So it’s definitely very comforting and satisfies cravings. 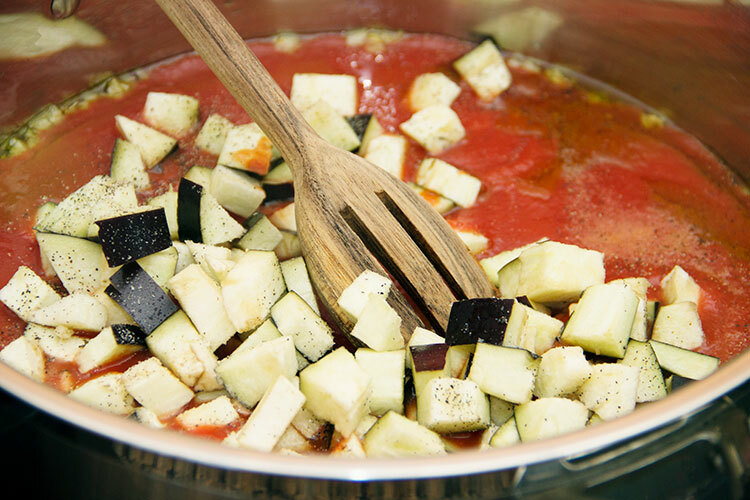 It’s also full of nutritious ingredients like garlic and chopped eggplant. So you can enjoy a nice, heaping plateful and still feel healthy. 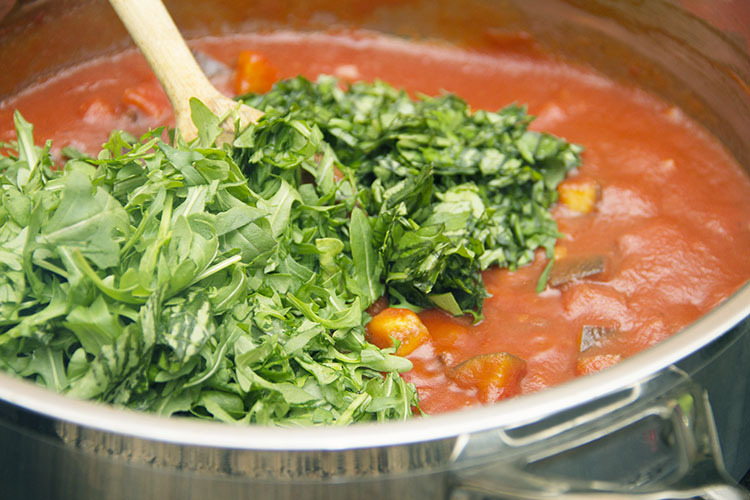 The peppery arugula and sweet, fresh basil are keys to flavor in this dish! Plus, the greens add lots of extra vitamins and nutrition. 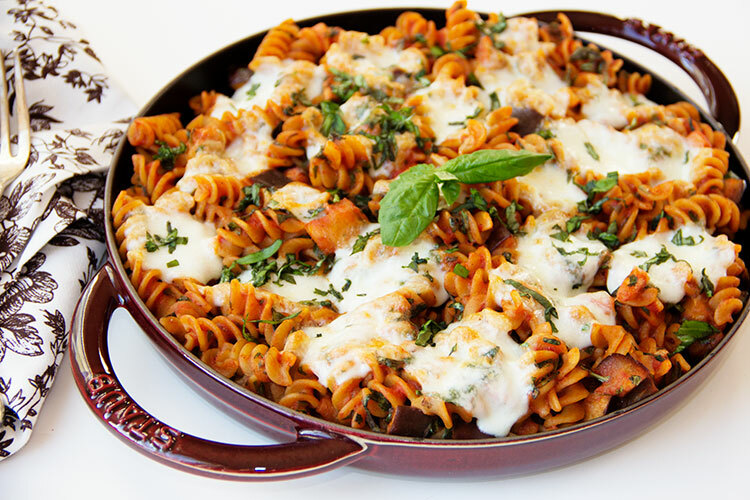 This eggplant pasta skillet is simple and easy and healthy. And, with the pasta and melted mozzarella, it’s so satisfying too. That’s why this eggplant pasta has become one of those reliable recipes I make again and again!